Tips for Growing Basil at Lake Tenkiller or anywhere else! Basil is one of my most favorite herbs to grow. No matter which type you like (e.g. Sweet, Purple or Lemon Basil), basil is an extremely rewarding and fun herb to grow. Plan to plant your basil in the spring after the last frost. Choose a good brand of potting soil. Select and buy a choice starter plant from your local market. Each plant will eventually require a root ball space approximately the size of a soccer ball. Starter plants are usually purchased in biodegradable pots with 3 to 4 plants each. Divide pots with a long sharp knife equally between plants using a sawing motion from top to bottom. Plant in your sunny location, (window or outdoors) and water well. Water occasionally with plant food that has a 24-8-16 ratio or something close. When the plant looks robust standing 7 to 10 inches in height take the top off the plant by pinching at the tender stalk just below it’s top cluster and let the magic begin! Every time you pinch a cluster top you will receive two more in return. This will continue throughout the warm months. There were several years that we had a single plant become a bush the size of a Beanbag chair. Hope you have a lot of friends that like fresh and dried basil. We had three plants last year that produced enough to support our business and two other households for a year. We still have some and are in the process of taking our first pinch of 3 plants to start the magic this year. 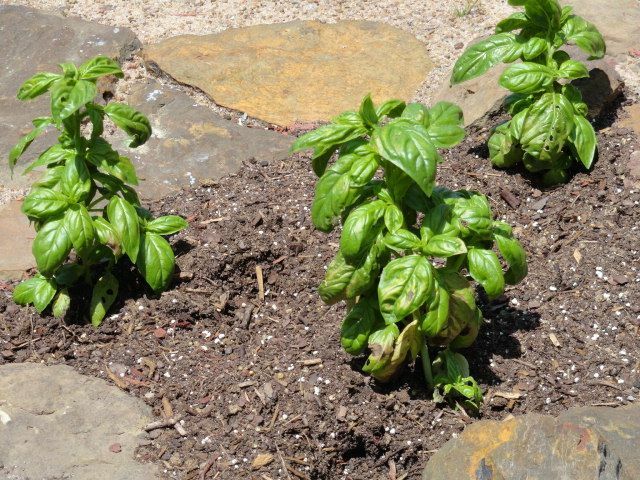 To get first hand knowledge about growing basil and other herbs CLICK HERE and make your reservation at Terrapin Peak Bed, Breakfast & Beyond near Lake Tenkiller. Simply, with Chef :What’s His Name?” cooking tips that you can use. 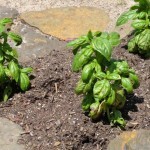 This entry was posted in Growing & using Herbs, Lake Tenkiller Lodging, Spring and tagged Bed & Breakfast, Cooking tips, Growing Herbs, Lake Tenkiller, Lodging, Sweet Basil by Genny. Bookmark the permalink.